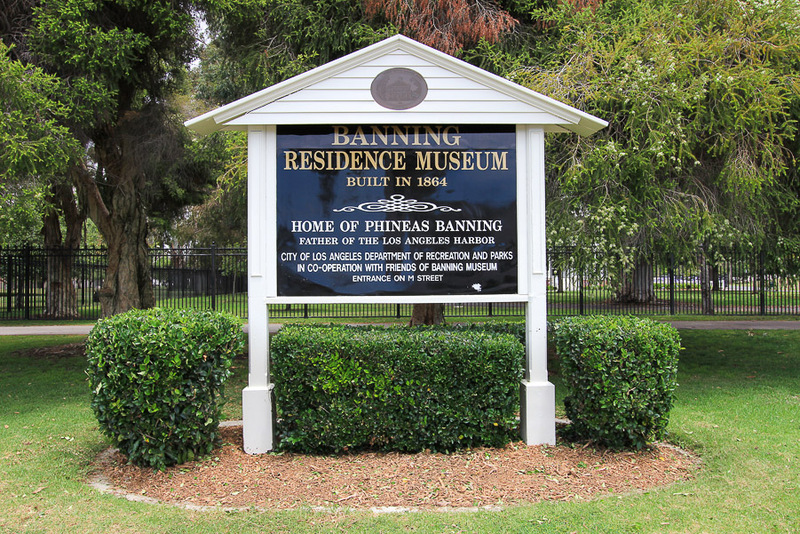 June 11, 2015 - Today's adventure brought us to Wilmington, CA to tour the Banning Museum. 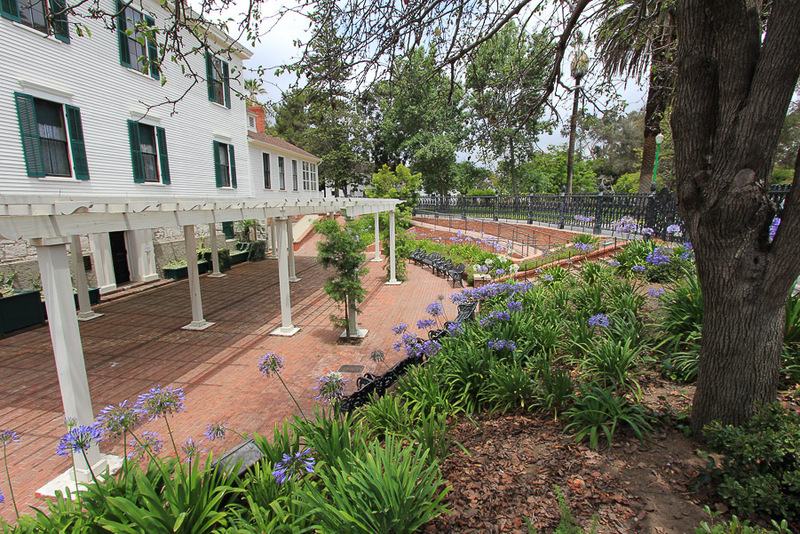 Phineas Banning, an entrepreneur, founder of the city of Wilmington, and “the Father of the Port of Los Angeles,” built the 23-room residence in 1864. 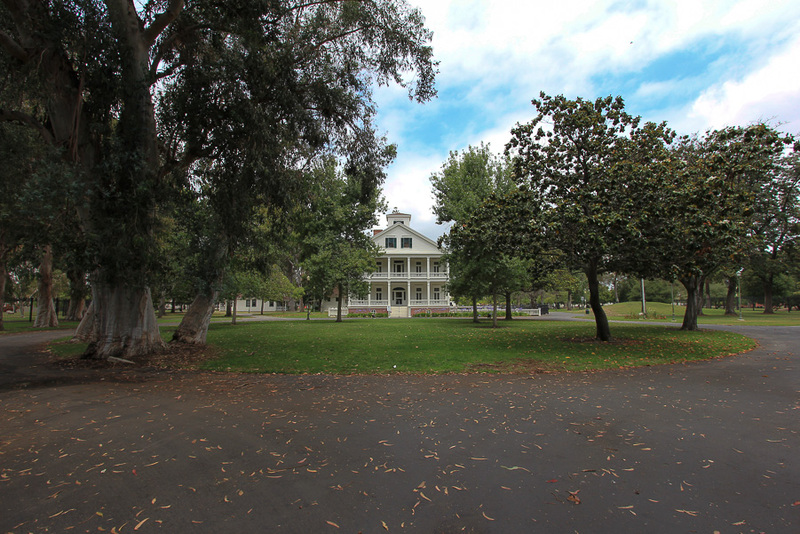 Today it remains the finest example of domestic Greek Revival architecture in Southern California. 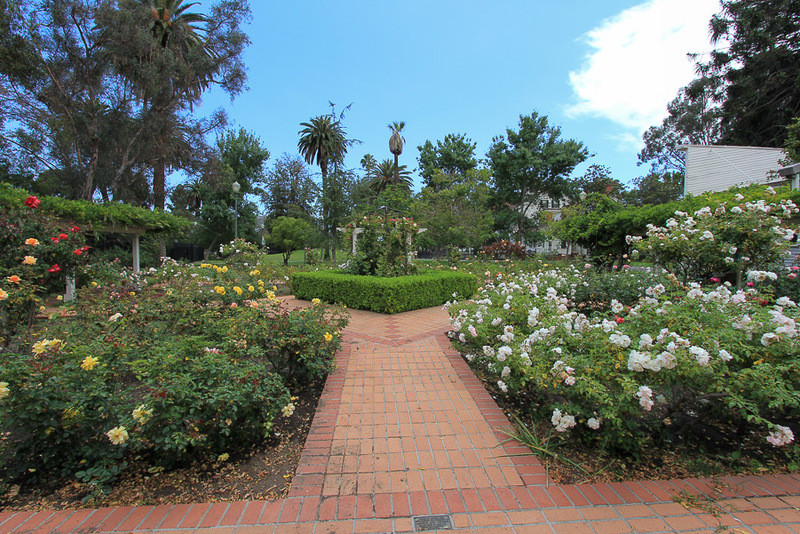 The house and surrounding 20 acres of parkland were acquired by the City of Los Angeles in 1927 and the residence has been designated as a City, State, and National Historic Landmark. 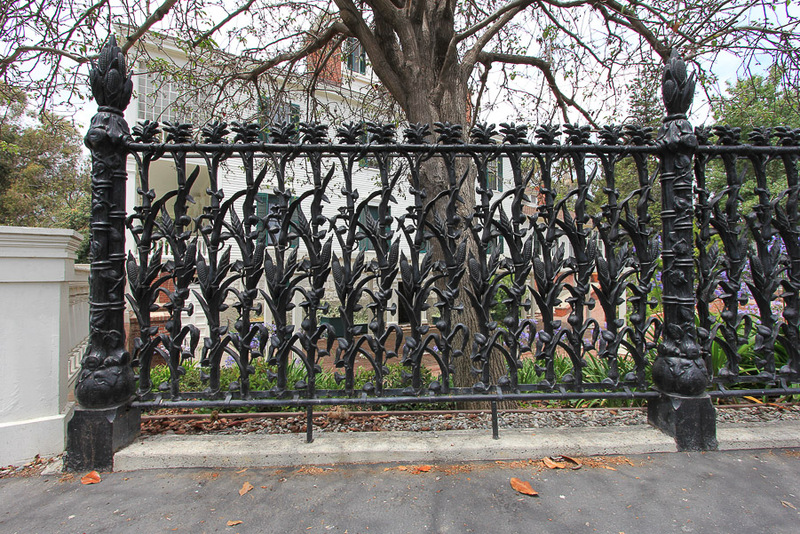 This cast iron fence was probably cast by Wood, Miltenberger, & Co., a New Orleans branch of the famous Philadelphia foundry, Wood & Perot. Wood, Miltenberger, & Co. cast many of New Orleans' most famous works of cast iron, including fences, balconies, and elements of graves. 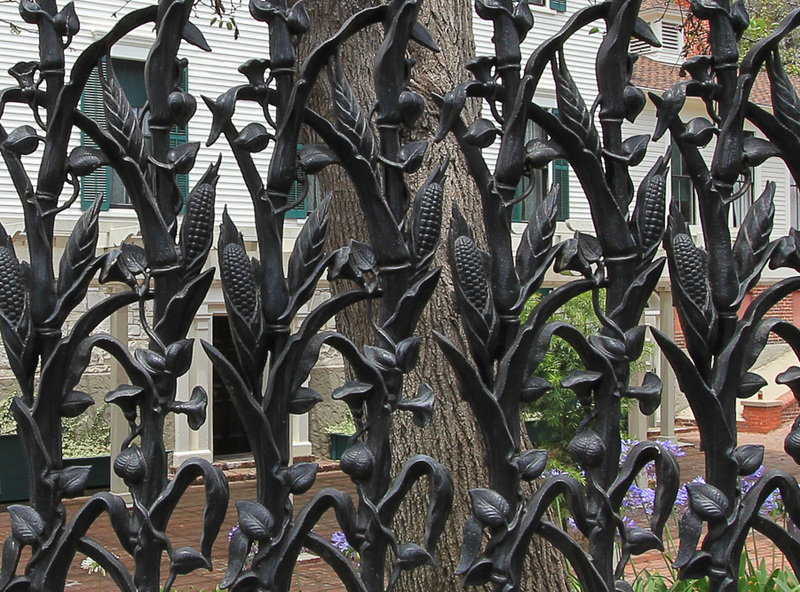 The "Cornstalk" fence still stands at the Corn Stalk Hotel in the French Quarter and at the Colonel Short Villa in the Garden District. 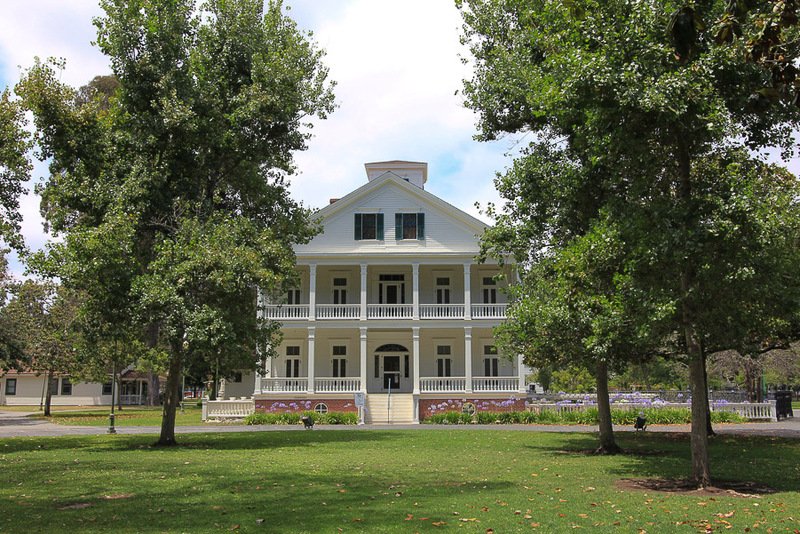 The fence was probably manufactured before the Civil War and the Banning family purchased this fence from a mansion about to be demolished in New Orleans and installed it here after Phineas Banning's death. 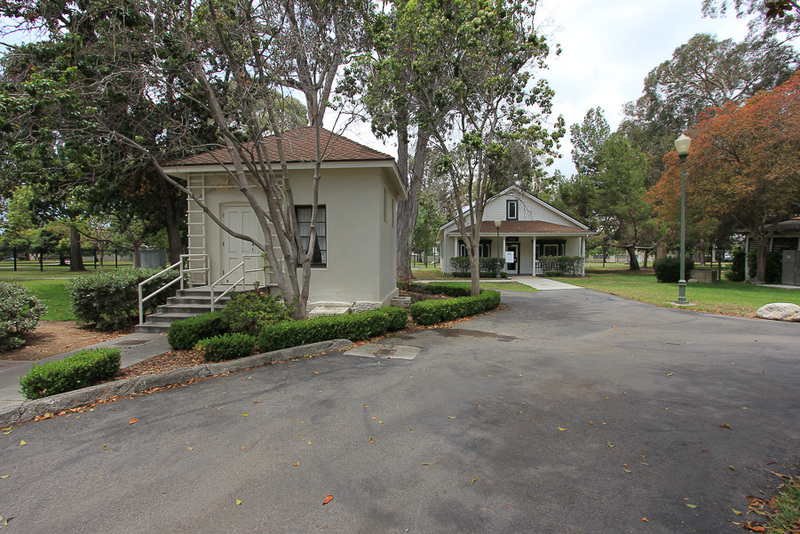 The small building on the left is called the "schoolhouse," but it probably served as a kitchen when the home was built. 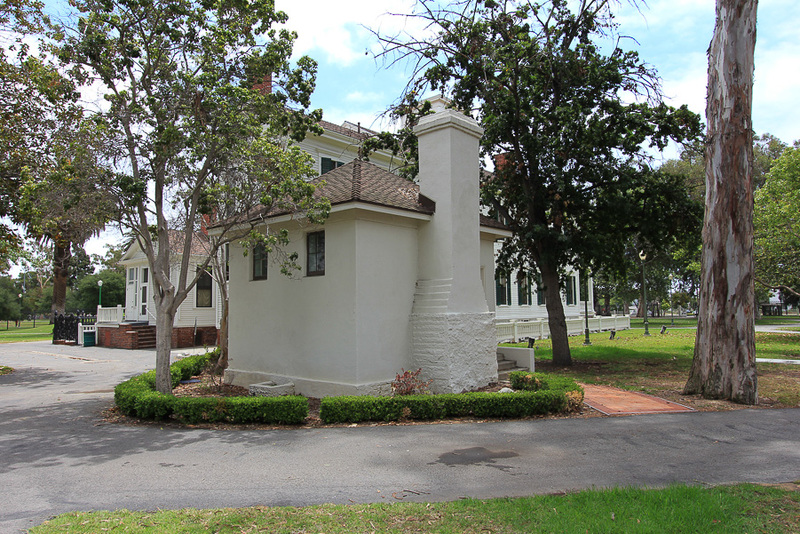 During this period, kitchens were rarely constructed within the main residence due to fire concerns. 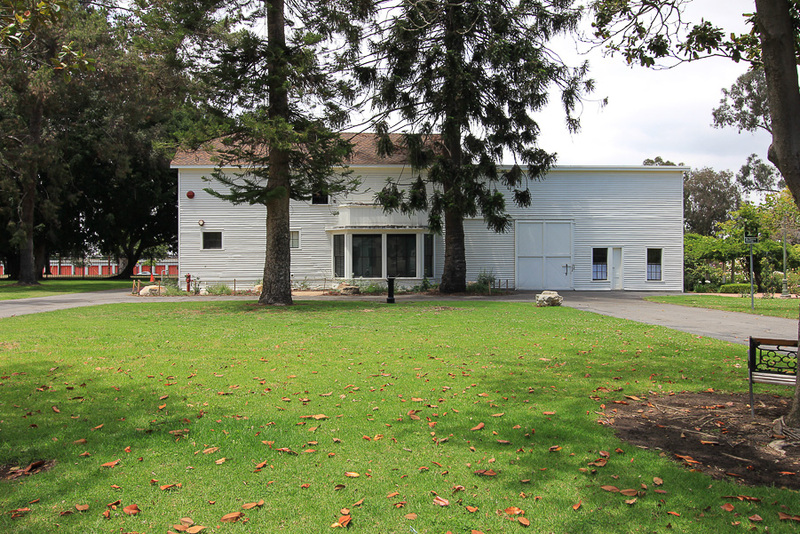 The building on the right is the visitors' center. 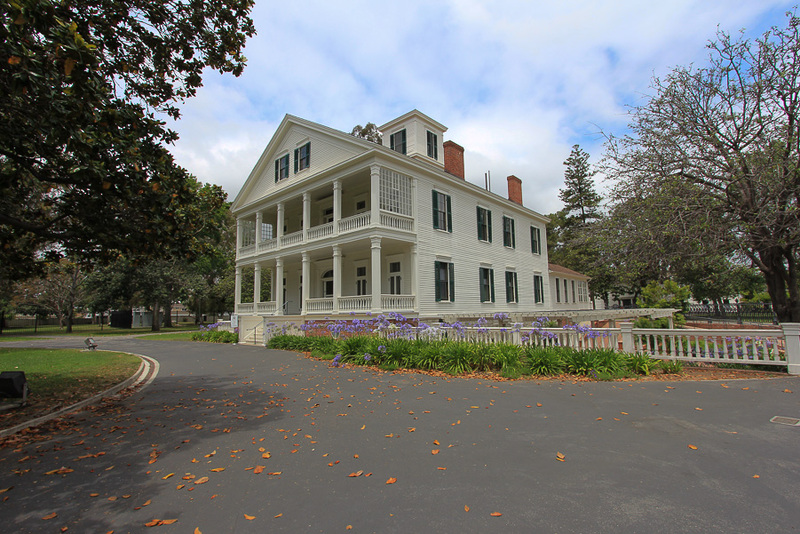 Photography wasn't allowed inside the residence, which was filled with Victorian furniture primarily owned by the Banning family. 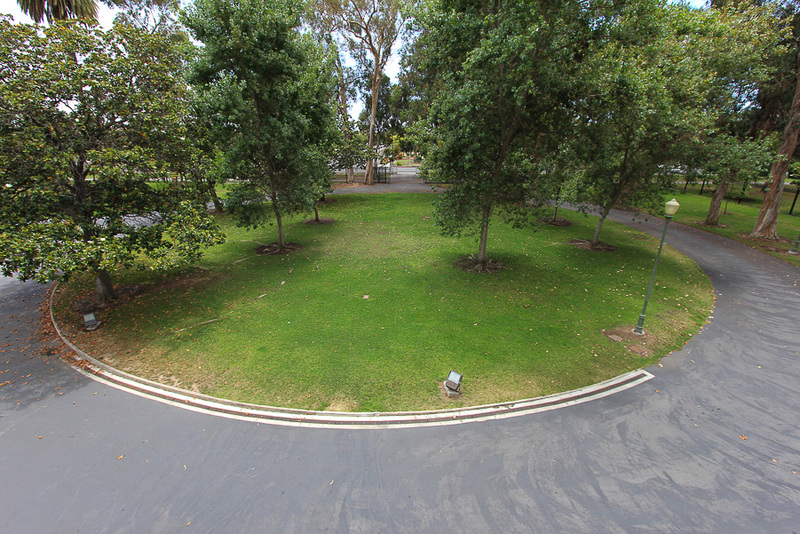 This view is from the second story balcony overlooking the front yard. 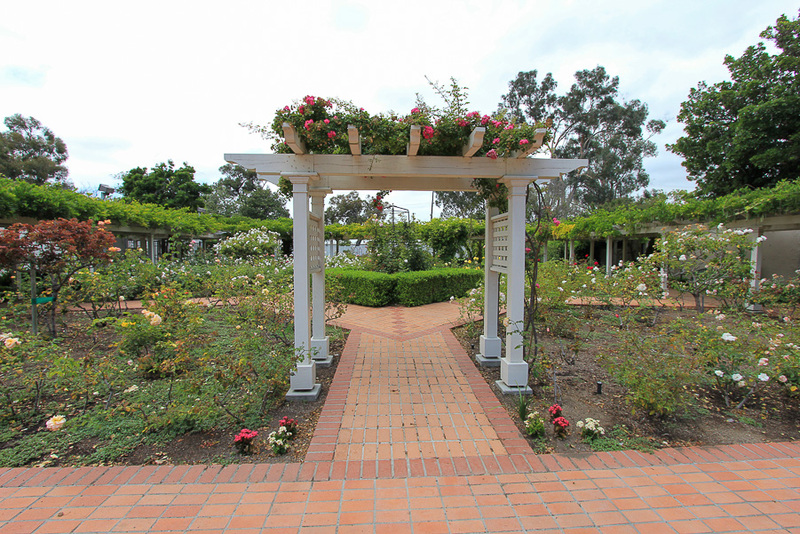 There is a beautiful rose garden in the rear yard dedicated in honor of Paul J. Howard, a celebrated Los Angeles horticulturist and landscape designer. 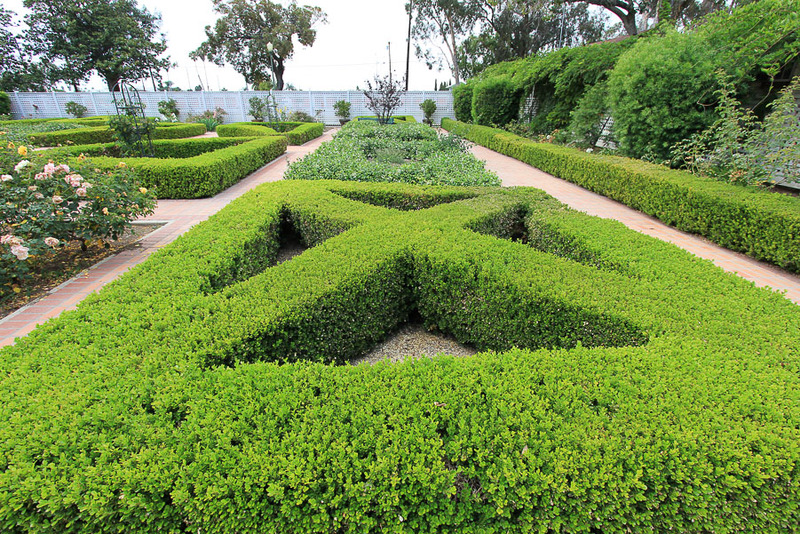 This is the very large barn that served the family when their entire estate was 220 acres, now reduced to 20 acres. 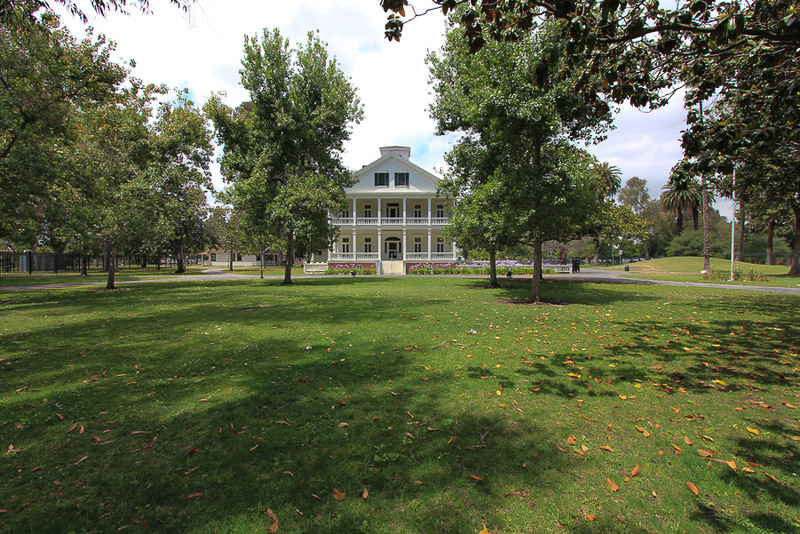 It is still a very impressive home thanks to the city of Los Angeles and the Friends of the Banning Museum. Before our tour, we stopped for lunch in Long Beach at the Shore Public House. Their burgers are one of the reasons we keep returning to see Long Beach area sites since we order the same thing each time we're here. I had the "Butcher's Burger' with a house cheese blend, garlic aioli sauce, caramelized onions, and bacon. Judy's choice was the "Papa Burger" with blue cheese, bacon, crispy onions, and horseradish. It's wonderful food!